I’m not great at being an adult. If I’m lucky enough to have milk in the fridge for my cereal, it’s normally gone bad. Luckily, a hack at yesterday’s Disrupt EU Hackathon can tell you everything you need to know about your milk situation. It’s called MilkzupBottle and it’s a combination of a plastic bottle, a USB connector, an LED light, and a basic webcam. Creator David Turner says that General Electric is in the process of prototyping USB/Wifi-connected refrigerators, which would allow you to plug smart containers (perhaps something like the Quirky Egg Minder) so that the items in the fridge are communicating with you and the rest of your home. 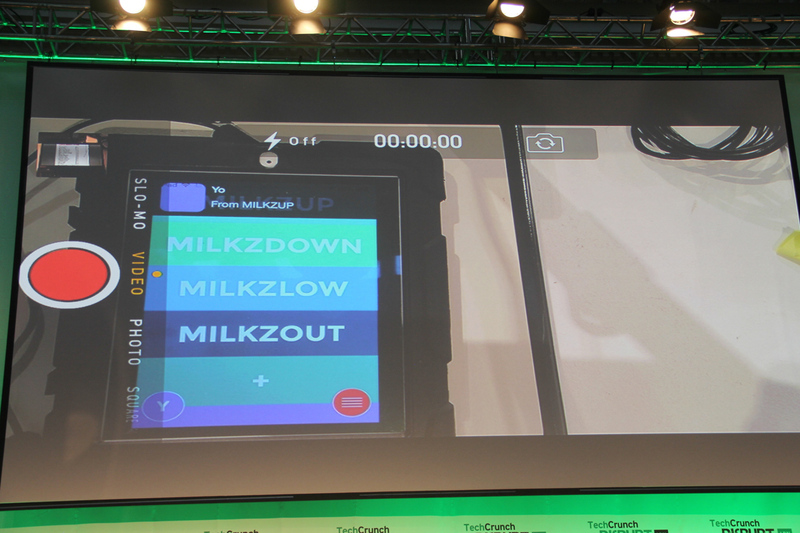 The MilkzupBottle would theoretically plug into a smart fridge and watch for milk levels twice a day. Because the fridge goes dark when the door is closed (supposedly), the MilkzupBottle needs a corresponding LED light so that the webcam can read levels. On a corresponding app, you’ll see one of four different options (Milkzup, Milkzdown, Milkzlow, Milkzout) highlighted to let you know what’s up with the milk. Turner wants to open source the project to see what others will do with it.